Boca Raton FC Wraps up Season with Heartfelt Thank You’s! Boca Raton FC’s inaugural NPSL Sunshine Conference season and APSL Spring Season both ended this weekend. We want to thank the NPSL staff and other Sunshine Conference clubs for all the support in our first campaign in what is a great national league. We also want to thank the APSL for another great season in the league. Our trophy run ended at four successive APSL titles but we wish the best of luck to Miami Dade FC and South Florida FC in this season’s final. We want to personally thank each and every one of our players for the personal dedication and commitment they showed to our club this season. It was a difficult season as we had to balance multiple competitions and we did so thanks in large measure to our dedicated players. And we reserve a special thank you for five people – to Athirson Mazzoli, a playing legend who came from Brazil to coach us, Coach Jose Rogerio Moreira who helped develop our goalkeepers this season and has been with us for three years. Dr. Bruno Rocha, who for the second year running has been invaluable to keeping our players fit and ready especially on a tight timeline. We’d also like to thank Bruno Cardoso, a professional player who volunteered his time to help our management and technical staff as well as Ismael Cassiano who assisted the staff ably during the season. We archived a great deal in our first NPSL season and in reaching the APSL semifinals. We played 23 competitive games in the last 79 days and we could not have done that without the incredible commitment of everyone listed above and the sacrifices they’ve made for our club. The coaching staff and management will be evaluating our plan for the fall and beyond in the next few weeks. 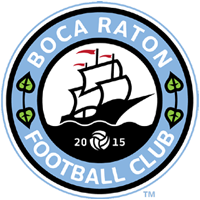 Please stay tuned to BocaRatonFC.com for more details as we enter the next chapter with our club.